Searching for the biographical details of a particular individual on LinkedIn last week I stumbled across another person with the identical name. Stripper: I undress in exchange for money. Without making any value judgements about this individual's chosen profession, you have to admire the succinctness of the description. None of the "I am passionate about transforming individuals into empowering leaders" or, "I create alignment between people, processes and technology to harness profitability" or, "Steve asks the difficult, game-changing questions that other people are too scared to ask." Just six words is all it takes (OK, seven including the job title) for us to know what this particular LinkedIn member does. Can you describe your job in just six short words? Use the camera on your mobile phone to focus on a subject on the far side of the room, and press the little button to capture a picture. Listen carefully as the shutter release makes its customary ker-ching sound. 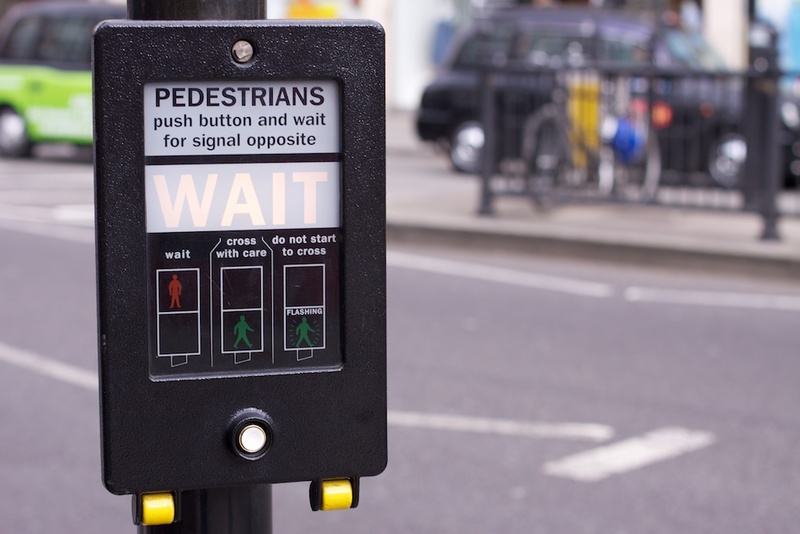 Take your place on the kerbside at the pedestrian crossing and press the button to change the lights from red to green and halt the traffic so you can cross the road. Wait for (hopefully) just a few seconds until the lights respond to your touch. Then walk safely to the other side. After you’ve crossed the road, continue your journey to the railway station and fight your way to the front of the crowd as the 0756 to Euston pulls up to the station platform. And (you’ve guessed it!) press the shiny button to open the door and fight your way into the (almost undoubtedly) overcrowded carriage and avoid eye contact with your fellow passengers until the train reaches its destination. If you’re feeling particularly adventurous, you can also press the “Open” button on the inside of the carriage to open the door to allow you to be expelled onto the platform. Well here’s some news for you. There is no shutter on a digital camera, so the ker-ching sound was artificial and unnecessary. An illusion that your pressing the button had a mechanical effect. It didn’t. 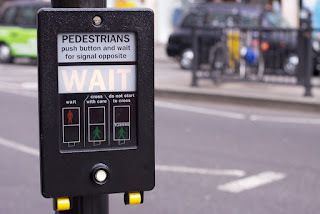 You might have thought that the “wait” light coming button on at the pedestrian crossing signified that your pressing the button had had some effect. Nope. And the train door? Whether or not you had pressed the button the door would have opened at its predetermined time. Caress it, tentatively prod it, or give the button an aggressive push: the door will still open when it is meant to, regardless of the intervention of your digits. The shutter sound on the digital camera, the button on the pedestrian crossing and the train carriage door are all what some psychologists have christened Placebo Buttons. It’s argued that the buttons do indeed have an effect – just not on the camera, traffic lights or train carriage doors themselves. Instead the effect is in our minds. “So what’s this got to do with HR” you all cry? 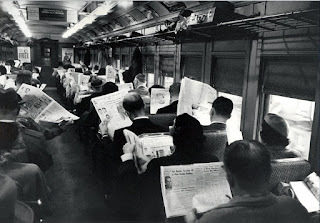 We seem to be drifting unquestionably into a world of measurement, metrics and the new fad (or is it anti-fad?) of evidence based management which tells us that as there’s no concrete evidence that annual appraisals, employee engagement initiatives, coaching (and the list goes on ….) we should consign all such practices to the dustbin of HR history. Perhaps if you’re an organisation with a well-embedded culture of formal and informal feedback to staff (daily catch-ups, weekly one to one sessions etc.) then the annual appraisal is superfluous and of limited additional value. Bringing it to a halt may not have any negative impact on staff performance. But if the annual review is the only mechanism that you have for assessing staff performance, ditch it at your peril. Also, It may not actually be possible to prove beyond the shadow of a doubt that focusing on employee engagement leads to increased dedication and productivity from staff, but is there actually any evidence that it has the reverse effect? And similarly with coaching, where the possibility of producing incontrovertible evidence that it has no positive effect (or even – perish the thought - that it can lead to a decrease in performance) is hard to imagine, which organisation will be brave (or foolish) enough to be the first to withdraw all forms of coaching support to managers? As with buttons, so with people. There may be no firm evidence that appraisals, staff engagement and coaching actually make a difference, but if there’s no evidence to the contrary, then keep doing them, do them well and let the results do the talking. Cast your mind back to the glory days of 2003 when the England Rugby Team seemed invincible and were well on their way to winning the Rugby World Cup in Australia. As history records, much of England’s success was spurred on by the innovative and successful kicking of the masterful Jonny Wilkinson, whose almost prayer-like concentration before taking penalty kicks caught the public’s attention and (no doubt !) sparked off thousands of conversations down the pub. With what just might be the last move of the match, Jonny is about to kick for glory against a normally invincible nation. A place in the final is at stake. For some inexplicable reason you find yourself on the pitch next to Jonny with the opportunity to ask the One Big Question that has been exercising HR professionals since time immemorial. You: Are you happy Jonny? You: Are you happy? You know, cheerful. Engaged. That sort of thing. Jonny: Don't know what you mean. You: Well I work in HR and I'd like to know if there's any link between your level of happiness and your performance on the job. Jonny: Well, let me see if I can kick this ball over the bar and between the posts, and then come back and ask me again. As far as I’m concerned, happiness comes after successful performance and not before it. And now, if you don’t mind, stop asking pointless questions and move out of the way. I’ve got a job to do. You leave the pitch. Jonny pauses. Jonny focuses. Jonny kicks. Jonny scores. The crowd celebrate. Right now, I’m tempted to follow his example! Is it actually that bad? Do you work in a function populated by dopey, unskilled, progress-blocking and change-resistant HR people? Actually, do you even KNOW any people like that? Or is your organisation run by rubbish managers who ride roughshod over processes, policies and people, driven by an unquestioning desire to deliver results, regardless of who gets destroyed along the way? So why is there such a focus on the negative side of HR and of the managers that the profession supports? The simple answer is probably that bad news attracts more attention than good news: after all, who wants to read an article about how the vast majority of HR professionals are rather good at doing their job, or how managers are increasingly effective at motivating and developing their staff, and making sensible hiring decisions after a robust and comprehensive recruitment process? But isn't it time for us to change the narrative for a while, to expose the myth that HR is the resident clueless ringmaster in the circus of misguided managers? Let’s ignore the small minority who drag the reputation of the HR and general management profession down. I’m in – who’s joining me? There currently seems to be a particularly worrying trend in writing about our beloved HR Profession that should be giving us all some cause for concern. The defining characteristic of this genre is a tendency to describe HR in a very negative light, painting a portrait of a lumbering giant of a function, populated by sluggish employees who are resistant to change, generally have a can't do attitude, heavily reliant on policy and procedure, risk averse, out of touch with the commercial demands of the business they are in, technologically illiterate. You know the sort of thing because you've read lots of this type of stuff. Once the ogre has been sufficiently fleshed out, the author conveniently offers us a simple solution which will rescue the profession from the edge of the abyss and miraculously transform it from ugly duckling to beautiful swan in one easy movement. The silver bullet of salvation is frequently a variation on the theme of Getting Disruptive, Getting Social, Funking up the Workplace or Doing Something Wonderful with Big Data. Well, there's some good news and some bad news. As the saying goes : For every complex problem there is an answer that is clear, simple and wrong. Rarely is there one single initiative that will Make Everything Right. 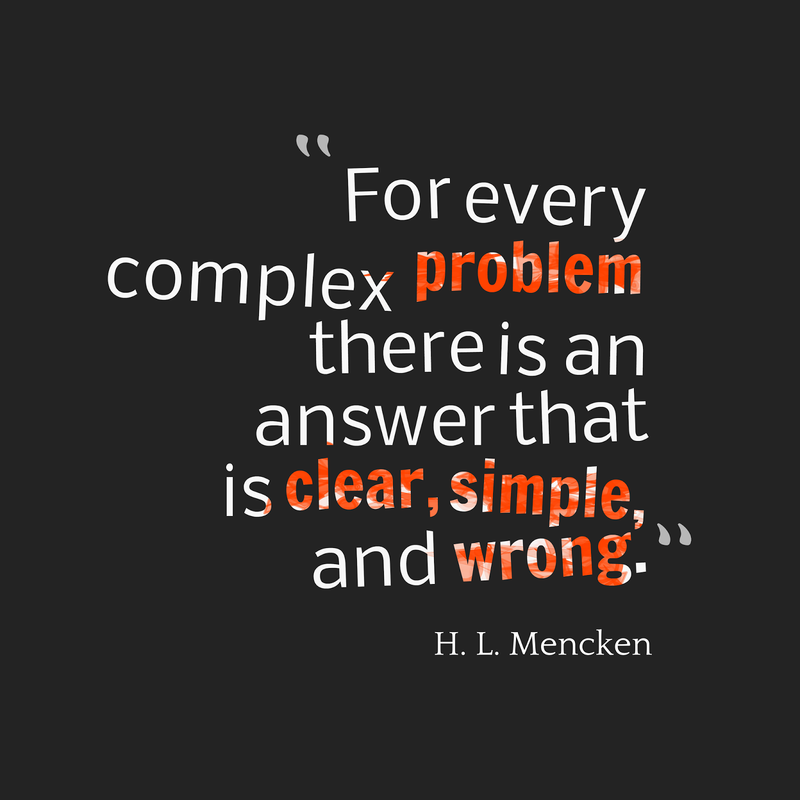 Complex problems generally require a range of complex solutions to remedy the situation. Generally the highly negative portrait of sluggish HR is one of a function that actually died many years ago. I don't know about you, but my experience of 21st Century HR professionals is largely at odds with the negative view described above. The vast majority of HR professionals that I have the privilege and pleasure to encounter are positive, switched on, smart, proactive, constructive, challenging, eager to help, keen to develop their own capability, solution-focused, innovative and open to change. And much more. In reality, most - but admittedly not all - of those that were anything else died out like dinosaurs when they failed to respond to the challenges and changes of the contemporary workplace. There's actually no place for those matching the negative description outlined above in the present day, be they an HR professional or one from any other function. So here's a plea : if you encounter one of the doom and gloom merchants narrating the story or painting a picture of a moribund HR function populated with uninspiring dullards, ask them how in touch with reality they themselves actually are, or what they are currently doing to enlighten the final few specimens of a bygone age and drag them kicking and screaming into the 21st Century. Just ridiculing them will achieve nothing, will it ? A few years ago I was speaking with the Engineering Director of a very large aerospace and defence organisation (one that makes Big And Expensive stuff. 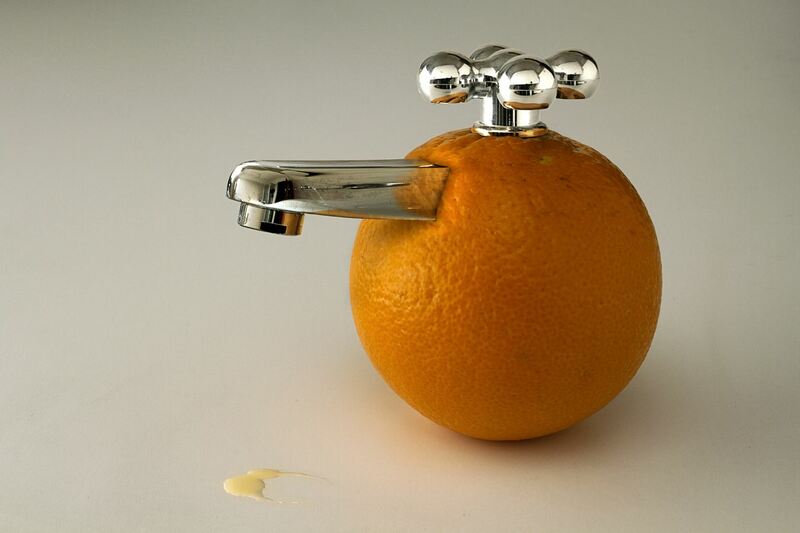 (Did you see what I did there?)) about a new-fangled HR initiative that was to be rolled out across the entire business. To be honest, I can’t remember exactly what the initiative was, but chances are it involved some form-filling and a significant amount of time commitment from already over-burdened managers. On the pavement of a Burmese street sat a man with a rough block of teak in from of him, and a chisel in his hands, watched over by a European tourist. 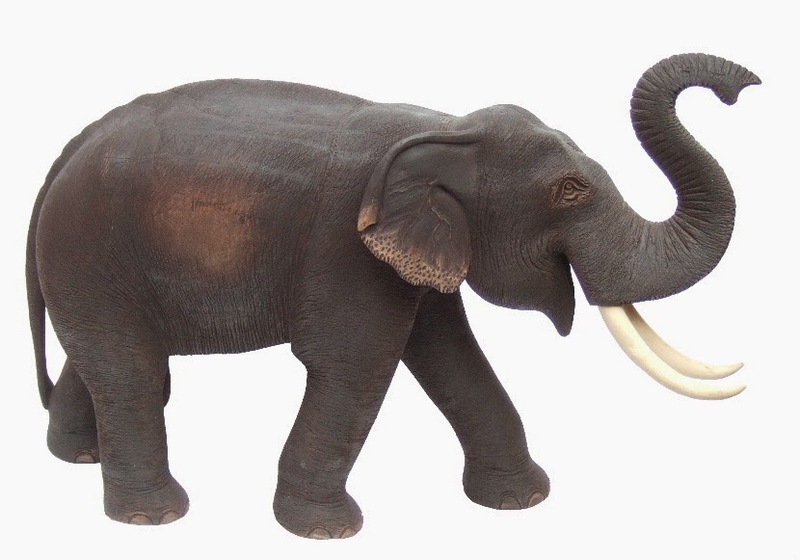 Slowly, bit by bit, the craftsman chipped away at the wood, and slowly the intricate and smooth form of an elephant emerged from the block of wood. “How on earth do you make something so intricate and beautiful out of something so raw and rough?” asked the European. So, dear HR colleagues, here’s your challenge for 2015: do your trendy HR initiatives help get the product onto the runway faster, or do they hinder it? Or, to put it more poetically, what HR initiatives could you discard that would allow the elephant to emerge more smoothly? The future is social. But only for a one-legged ladybird. You never have to travel very far in the Twitterverse or Blogosphere these days to encounter those preaching the Gospel of Social. The Evangelists of E-Connectedness urge us to link in, keep tweeting, and altogether network, network, network as if our lives depended on it. Collaboration, it would appear is something that is best done online, and preferably on a constant and continual basis. Cloudsharing, tweet-ups and hackathons are (according to this particular Gospel) the way that knowledge is acquired, shared and implemented. We are always at our best when we are together, and solitary working is anathema to progress and innovation. Well, if you're a disciple of this particular denomination, here's bit of good news: Dave Ulrich (the much-maligned and cool-to-criticise Grand Fromage of HR practice) agrees with you! "Social media is also emerging as a way to connect employees with customers. Beyond simply addressing customer problems, these platforms are becoming a knowledge hub for collaboration among employees and customers to solve problems and generate new ideas to improve products and services. Businesses cannot afford to ignore this new reality." What is clear from reading Ulrich (and, I'd say, from an application of balanced common sense) is that the focus on becoming what he calls a Technology Proponent is but one of a number of competencies (six to be precise) that those of us in HR need to develop if we wish to be effective and influential. To be part of the Next Generation of HR, we also need to become much better at understanding the strategic context within which our businesses operate, increase our overall credibility and track record of delivery; concentrate on building the organisational capabilities of the businesses we work in; become adept at managing and championing change; and role model innovation and integration in everything we do. You may choose to criticise Ulrich's particular selection of competencies, but there's not doubt that if all of us became better at all of these six areas, we'd be more effective in our jobs and improve the reputation and standing of the profession. So it has to be said that although the future is social, it's only one leg of The Ulrich Ladybird!. And ladybirds may not be the most inspiring of creatures, but they do seem to function best when then have six legs, not just the one. I work in HR. I know where you live.